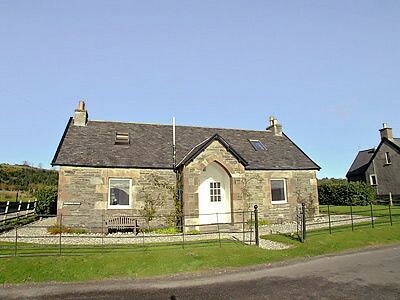 These cottages (refs SBW, SRRL and UAA, see below for individual description) are set on the beautiful Kildalloig Estate on The Mull of Kintyre. 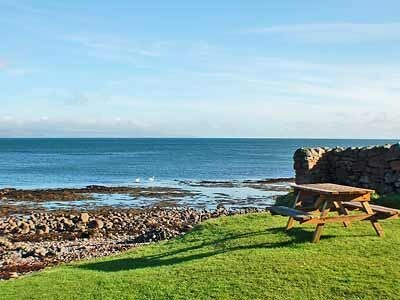 Set against the rugged beauty of the sea and the wild landscape of the Kintyre Peninsula, they provide an idyllic sanctuary, offering modern amenities and historic coastal charm. 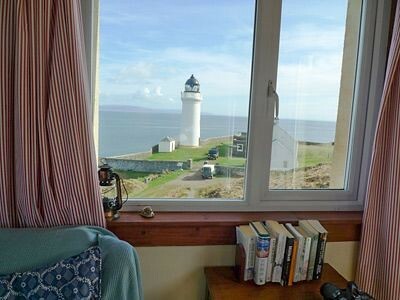 Surrounded by natural beauty and sea views, each cottage is comfortably furnished, provides wonderful character and history and has been thoughtfully arranged to accommodate couples, honeymooners, families, golfers, hikers, birdwatchers and other visitors. 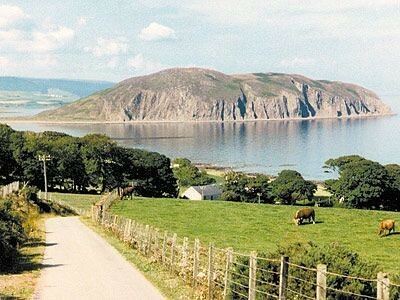 There are wonderful stretches of secluded beach and coastal walks (with coves and rockpools, ideal for children), and the fascinating little island of Davaar with its lighthouse, cave painting and wild goats which can be reached on foot at low tide. 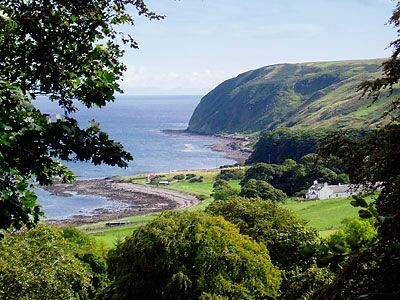 There are marvellous walks along the coast and through woodland on the Estate – where seals, otters and a variety of birds can be seen – and in the hills, where golden eagles soar. 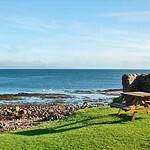 The cottages provide the classic Scottish seaside holiday spot - with an abundant number of rocky and sandy beaches close by and pristine sandy beaches within 5-15 minutes’ drive. 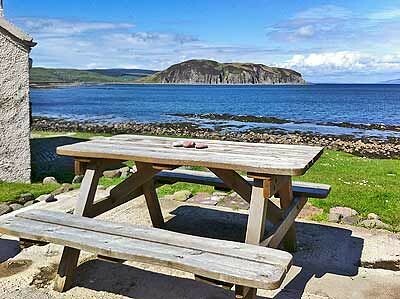 Activities locally include surfing, sea fishing, horse trekking, mountain biking and island hopping to Gigha, Islay and Arran. 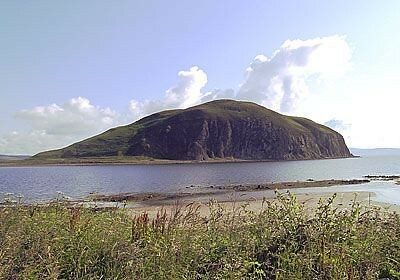 Kintyre is home to five golf courses - the most famous is the championship course at Macrihanish with its stunning and infamous first hole. There are a further two 18-hole golf courses - Southend and Machrihanish Dunes and two excellent 9-hole courses in Carradale and Tarbet. 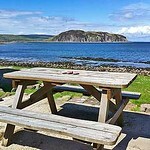 Campbeltown (4 miles) has supermarkets, shops, restaurants and leisure centre (with swimming pool, gym, sauna and sun beds). In its day, Campbeltown had over 30 whisky distilleries. Today only two survive – Glen Scotia and Springbank, with the latter offering tours by appointment. 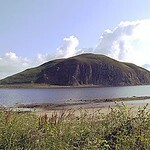 Further attractions in Campbeltown include the Campbeltown Cross, the quaint Art Deco cinema, the Birds of Prey centre, the Museum, the Linda McCartney memorial garden and the Mull Lighthouse. 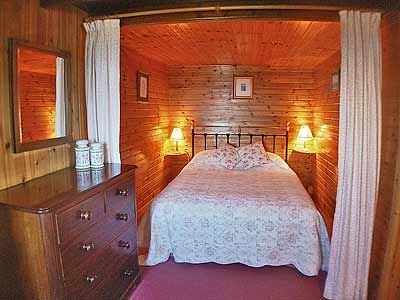 The cottages provide the perfect place to relax, unwind and enjoy all that the estate and surrounding area have to offer. Shops and pub 3 miles. 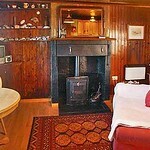 Set right next to a secluded beach, Fisherman’s Cottage is wonderfully romantic and private. 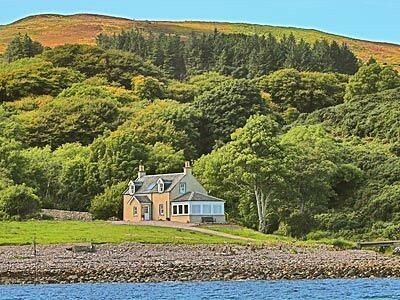 This cosy single-storey cottage enjoys a very picturesque and peaceful setting with spectacular views over the Kilbrannan Sound to Arran and the Island of Davaar. 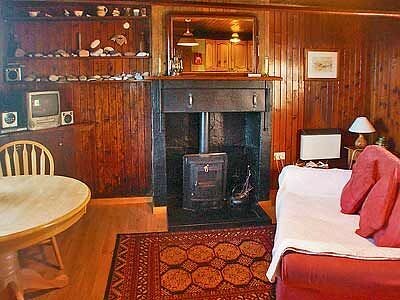 Steeped in history, this cottage was the home of a local fisherman until the 1970’s, and retains many of its original features including a wood-burning stove. With wonderful sea views and complete privacy, this is the perfect place for a romantic break, honeymoon or simply to get away from it all. Sitting/dining room with kitchen area with wood-burning stove. 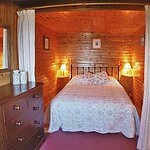 Double bedroom (5ft bed) with en-suite bathroom with over-bath shower and toilet. 1st comment: If you like nature, wildlife and weather watching, this cottage was perfect (including the submarine we saw out front on the last morning). 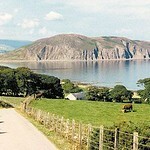 There is a single track road from Campbeltown, and access is through a sheep pen and a field. Oct 2011. 2nd comment: Ideal for a quiet, relaxed holiday. Beautiful views from every direction. Friendly owner does not bother you unless you need her. 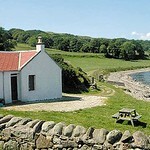 Full access allowed on all the farmland and beaches surrounding the cottage. April 2011. 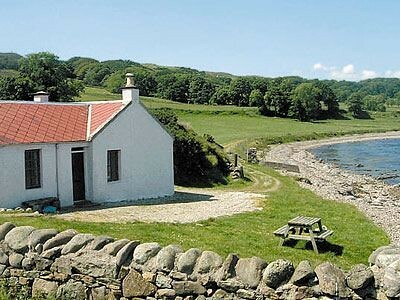 3rd comment: This is such a well situated cottage, right on the shoreline with lovely views of the sea and nearby Daavar Island. The view and situation in general really has the wow factor. March 2011. 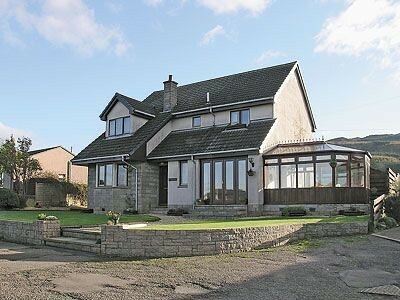 4th comment: The location of the property is excellent if you like peace and quiet and also for nature lovers it is ideal. Sept 2010. 5th comment: Fishermans cottage is in an excellent rural location, the views from cottage are outstanding, everything you need for a relaxing holiday. Aug 2010. 6th comment: The property was as perfect as we could possibly wish for. 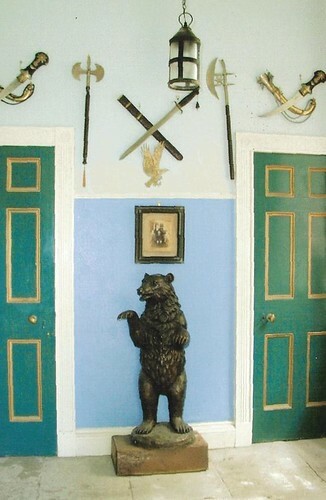 It met everything that we would hope for in a holiday cottage. June 2010. 7th comment: Its position and all the wildlife on your doorstop. June 2010. 8th comment: The situation of the property and the views. Great place to relax and unwind. Ideal for two persons and pets allowed. May 2010. 9th comment: The location in very close proximity to the sea is the main attraction. March 2010. 10th comment: Very rustic, and away from everything. Oct 2009.